The Episode starts with Omkar crying. Tu safar mera….plays…. He recalls Shivika. He comes home and says I was in love and then everything got over. Gupta comes to meet Omkar and tell him about his marriage. Jaya comes and stops him. She lies to Omkar about Nisha’s marriage. She asks Gupta to come and have medicines, else she will be blamed. Gupta goes. Omkar says maybe he wanted to say something. She says nothing and goes. GST calls Omkar and says you will be marrying soon. Omkar says I couldn’t propose her, she is getting married. GST says you forget her, you will get any girl, don’t do any mistake. Omkar agrees and asks him to find out what does Gupta want to tell him. Shivika’s dress gets oversized. She decides to meet the tailor and get the dress altered. Raghavendra comes to meet Triloki. He says I want to take Shivika along for marriage shopping. Triloki agrees and then asks him to ask his dad. He says today’s children don’t follow the parents’ teachings. He asks Raghavendra to have food. Raghavendra gets angry and goes. Omkar gets to see everyone preparing for marriage. They lie that its Nisha’s marriage. GST comes and takes Omkar along. He tells Omkar that its his marriage happening and that’s why Gupta came to talk. Omkar gets shocked. Bhabhi says I will get Omkar to market, I will handle everything. Omkar laughs hearing the matter. He asks GST how can this happen, the family will tell him about the marriage. GST says don’t know. Omkar says they all love me and are worried for me, find out about the Sadhu, let this drama go on, how did Nisha say yes. I will talk to her. Jaya comes. Omkar says I like Nisha as my younger sister. Jaya asks him to come along for shopping. Omkar and GST joke. Omkar goes with her. He meets Shivika again and parks her scooty. They come close. Tu jaane na….plays…. Omkar gets ready. Shivika selects his wedding clothes. He smiles seeing her. Triloki scolds Devki. Shivika looks on. 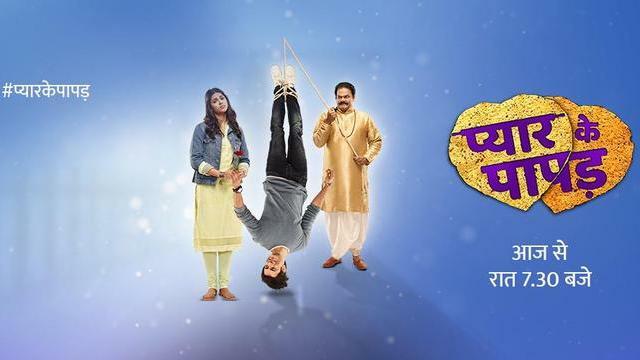 The post Pyaar Ke Papad 26th February 2019 Written Episode Update: Omkar gets heartbroken appeared first on Telly Updates.